When Gnomeo and Juliet first arrive in the city, their biggest concern is getting their new garden ready for spring. They soon discover that someone is kidnapping garden gnomes all over London. 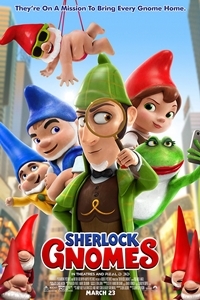 When Gnomeo and Juliet return home to find that everyone in their garden is missing there's only one gnome to call Sherlock Gnomes.